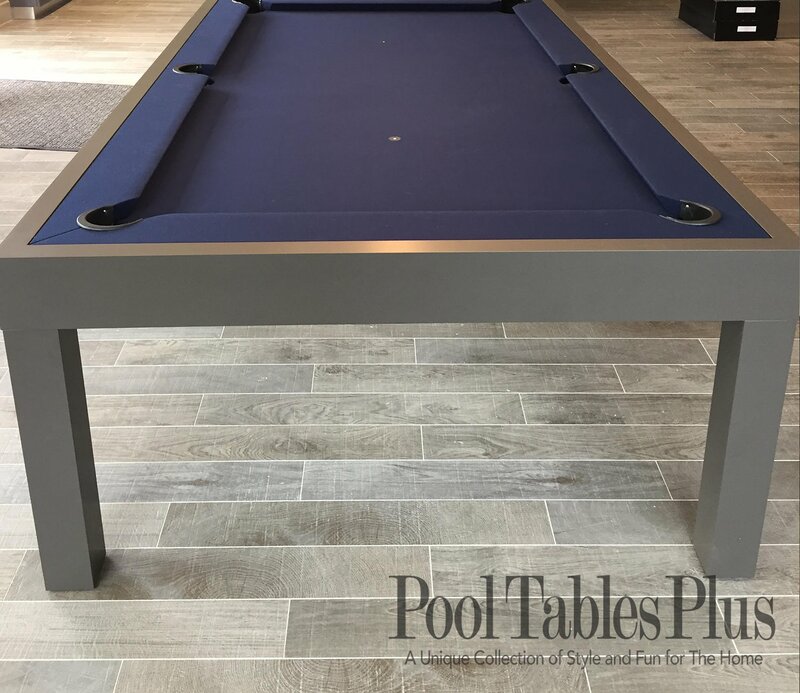 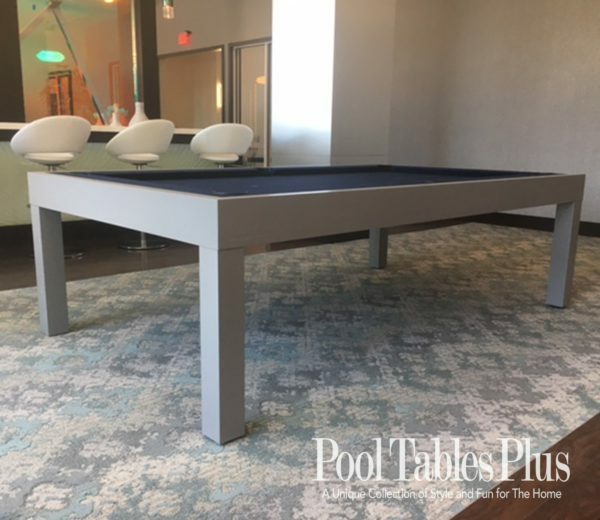 The Storm Pool Table is is made from heavy duty extruded aluminum with angled supports, all welded together to form a very stable frame to support the 1 piece diamond honed slate. The Storm pool table is available in 7′ and 8′ size. 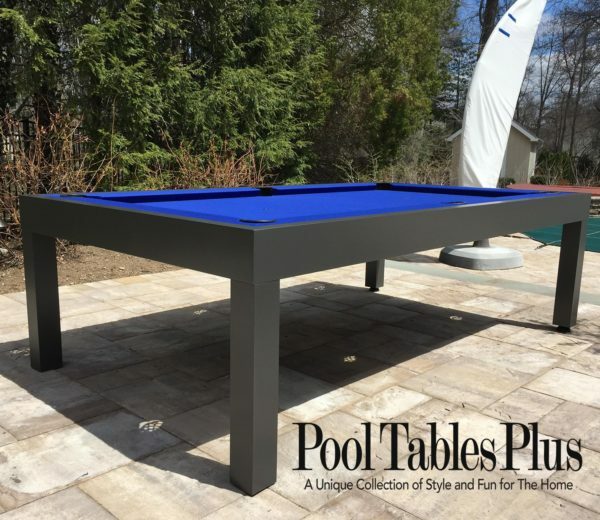 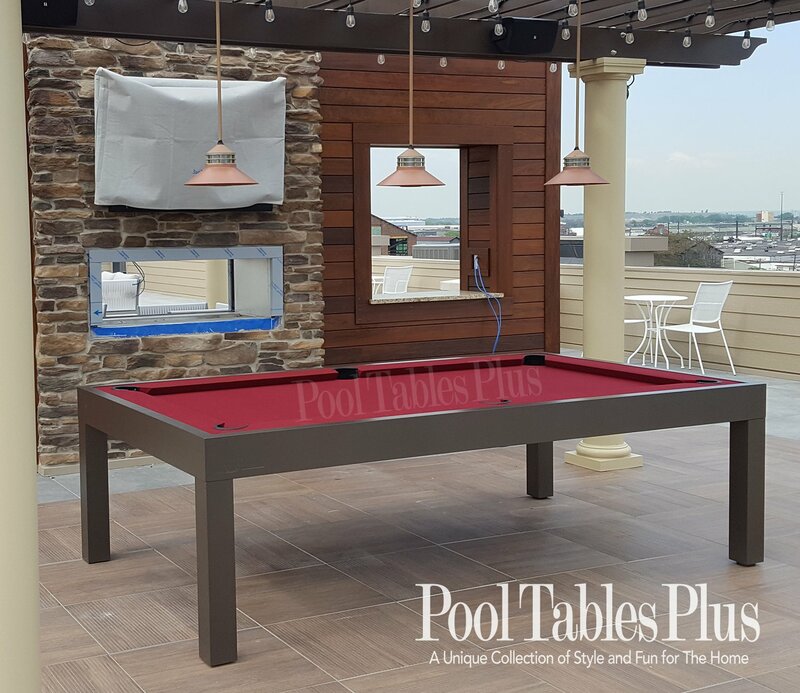 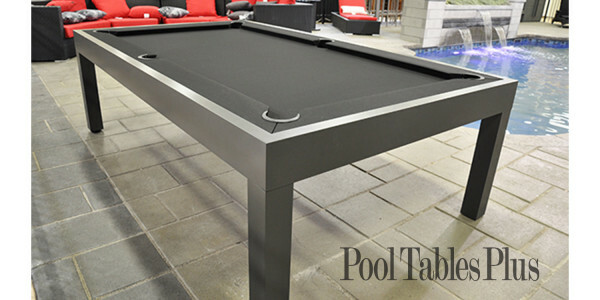 We looked long and hard to find the best built pool table that can hold up to outdoor conditions in the Northeast. 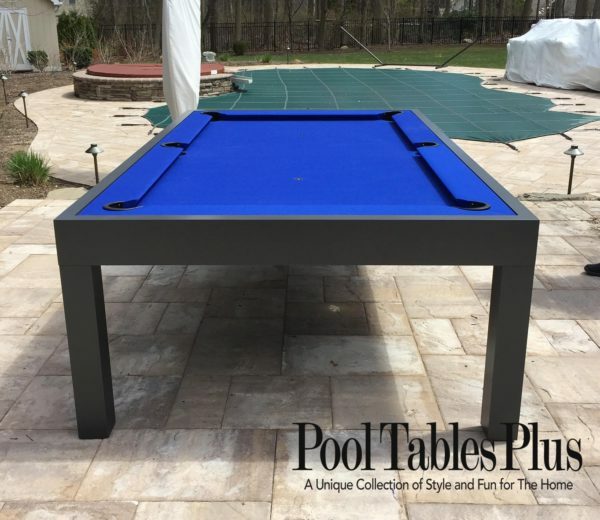 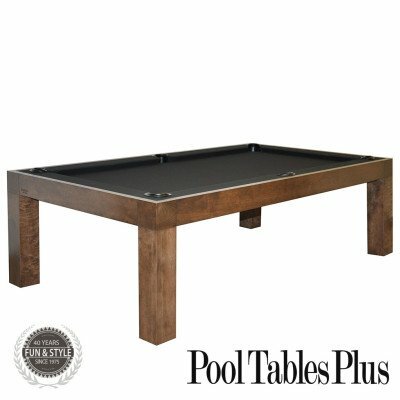 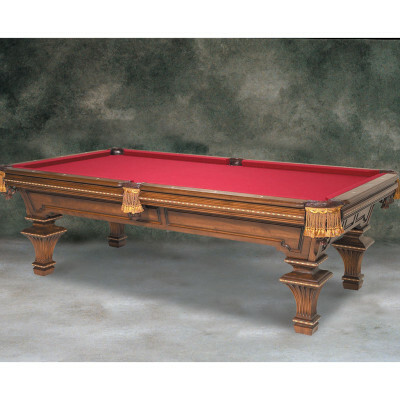 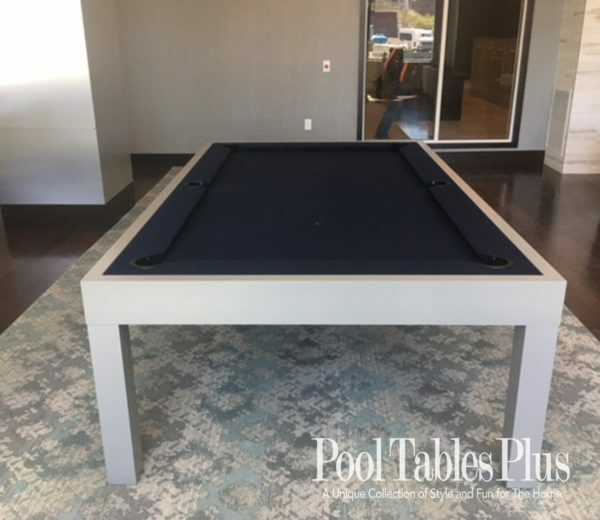 This Storm pool table is engineered to hold up to the elements and allow for future service and re-upholster. The attention to detail is second to none. 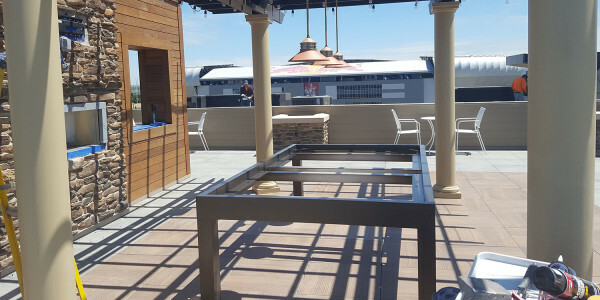 Rain water is directed off and away from the play surface. 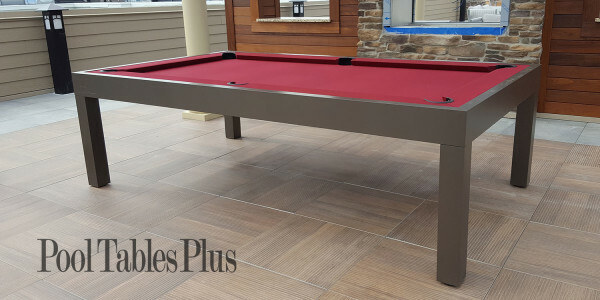 The built-in, heavy duty leg levelers are engineered to be functional without the unsightly look found in competitive models. The rails use professional K66 rubber glued to an outdoor composite material that sits on the slate and bolts from underneath. 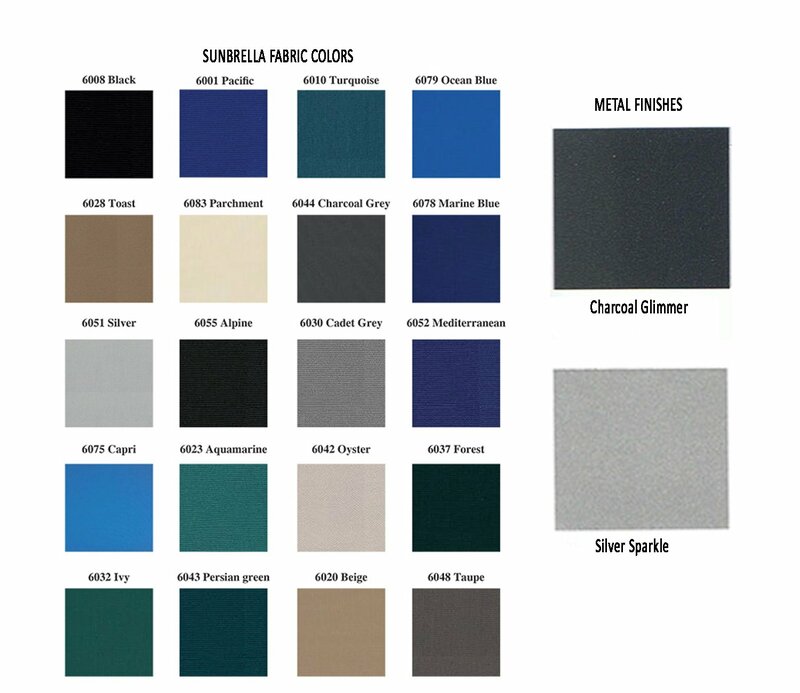 Finished with a bonded metallic powder coating in your choice of color.